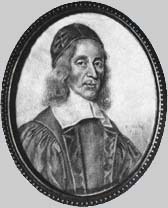 The Works of George Herbert. what I still would have called the "Christian mythology." are wrong, but all the rest are bores." Herbert | Timeline | Life | Links | Essays | Books | 17th C. Eng. Lit. Created by Anniina Jokinen on September 21, 1996. Last updated on December 13, 2006.